Music has the ability to convey a powerful spiritual force, a force, a multiplicity, encouraging and enabling planetary transformation; a force of magick functioning and operating on the all-worlds-connected quantum level. Music serving as a vehicle for Magic colonizes Space and suspends Time. "As Deleuze remarks in Francis Bacon: The Logic of Sensation, music indeed 'deeply traverses our bodies and puts an ear in our belly, in our lungs etc. ', but ultimately it rids bodies of their inertia, of the materiality of their presence. It disincarnates bodies. In turn, through the manipulation of its sonic matter, 'it gives the most spiritual entities a disincarnated, dematerialized body.' Music, in short, through its heightened yet somehow dispersed, intangible sensuality, has the power of undoing the coordinates of the commonsense world and creating a sonic body of speeds and affective intensities, that sonic body traversing listeners and turning their organized, material bodies into dematerialized vectors spread out across an a-personal, trans-individual body without organs. "... there is a sound block that no longer has a point of origin, since it is always and already in the middle of the line; and no longer has horizontal and vertical coordinates, since it creates its own coordinates; and no longer forms a localizable connection from one point to another since it is in "nonpulsed time": a deterritorialized rhythmic block that has abandoned points, coordinates and measure, like a drunken boat that melds with the line or draws a plane of consistency. Speeds and slownesses inject themselves into musical form, sometimes impelling it to proliferation, linear microproliferations, and sometimes to extinction, sonorous abolition, involution or both at once. The musician is in the best position to say: "I hate the faculty of memory, I hate memories," And that is because he or she affirms the power of becoming." 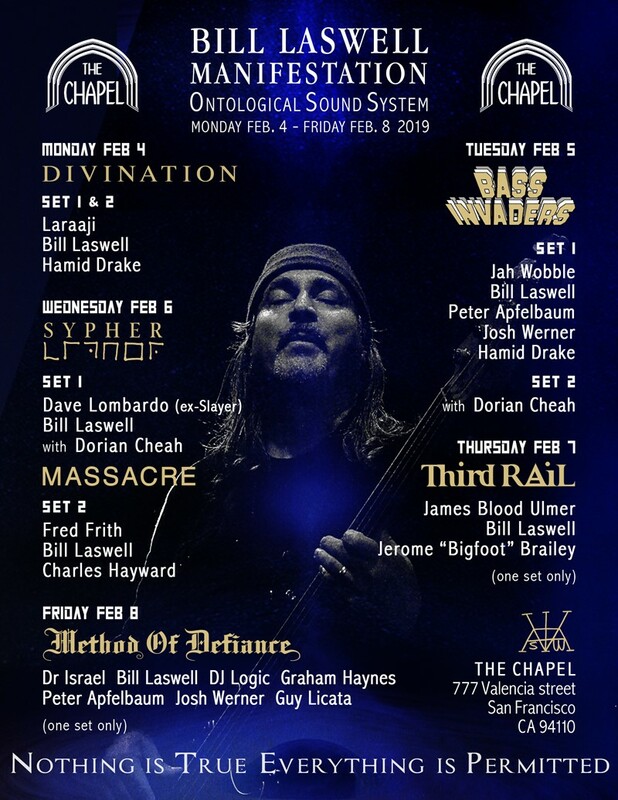 Special thanks to Yoko Yamabe for the graphic design of the poster images. "Who's your favorite female superhero? - Special agent Clarice Starling"
- email exchange between Steven 'Fly' Pratt and Robert Anton Wilson, FOTTOTT p. 53. Near the beginning of his introduction to the Gurdjieffian universe, Making A New World, J.G. Bennett makes the point that Gurdjieff deliberately started many 'lines of work', many different projects and ideas without finishing them. Bennett argues that rather than indicating a failure to carry projects through to completion, Gurdjieff deliberately set up several courses of work for his students to pick up and continue. Robert Anton Wilson planted several semantic sprouts and seeds and left the ever evolving Tale of the Tribe meta-history (and her story) project to his spiritual progeny to bring into bloomin' fruition. 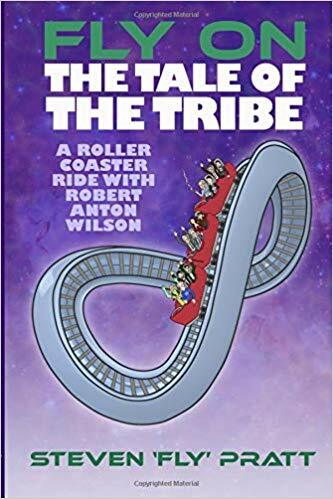 The Tale of the Tribe was an ambitious book Robert Anton Wilson had planned to write. He indicated what it would cover in a short synopsis at the end of his penultimate book, TSOG, The Thing that Ate the Constitution. The Tale of the Tribe was also the name of an 8 week online course presented by the Maybe Logic Academy and guided by Wilson in 2005. 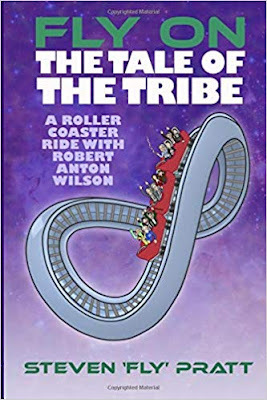 The book Fly On The Tale of the Tribe (FOTTOTT) - A Roller Coaster Ride with Robert Anton Wilson recounts the autobiographical odyssey of Steven 'Fly' Pratt side by side with his constantly changing, multiple visions of the Tale of the Tribe. One can see it as a treatise ebbing and flowing, weaving and winding its way like a river through the canyons of postmodern thinkers and their transformational experimentation; a nonlinear narrative that can sometimes appear as holographic as the writing he is describing as holographic, mostly Finnegans Wake by James Joyce. This book is also one of the rare (so far), and invaluable primer books for the writings, philosophies and methods of Robert Anton Wilson. For that alone, I highly recommend it, but there is much else too. We get a cast of philosophical and scientific heavyweights and a synopsis of some their prime ideas and practical contributions to human development - the Tale of the Tribe. Among others, we hear from Nietzsche, Alan Moore, Claude Shannon, Giodorno Bruno, Giambattista Vico, Buckminster Fuller, Wilhelm Reich, Korzybski, John Lilly, Tim Leary, Ernest Fenellosa, Jung, Yeats, Aleister Crowley, Marshall McLuhan, Orson Welles, Paul Krassner, John Sinclair, and of course, the Tale of the Tribe's first two stars, James Joyce and Ezra Pound. What is the Tale of the Tribe? and its corollary, what do we do with it? What is art? We are all artists. Eprime and certainty; the effects of language on consciousness. King Kong, his sister Hong, and Guerilla Ontology. James Joyce/RAW inspired geo-mapping APPS - I suspect this one brilliant idea alone would revolutionize the consciousness of whomever used them. The contribution of Chinese ideograms to the Tribe. Holometic Retribalism, a Fly neologism which seems a portmanteau of hologram and hermetic. The influence of psychedelic drugs on the Tribe. Quantum entanglement and spooky action at a distance. FOTTOTT is full of amazing quotes, the large percentage from Wilson, but many from other conspirators that serve to fill out and substantiate this vision of the Tribe. 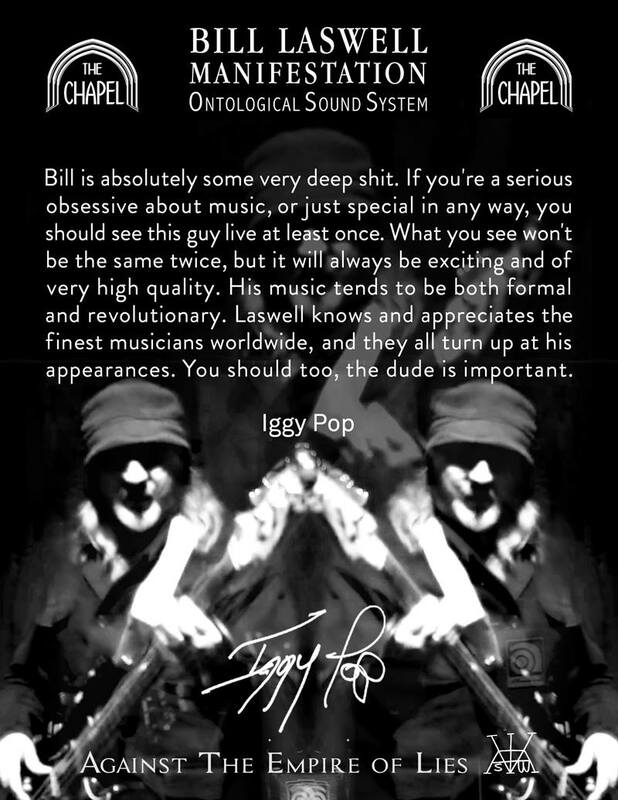 Perhaps my favorite parts are the email and interview transcripts between Fly and RAW and any personal exchanges they had as it presents new light on the venerable sage. 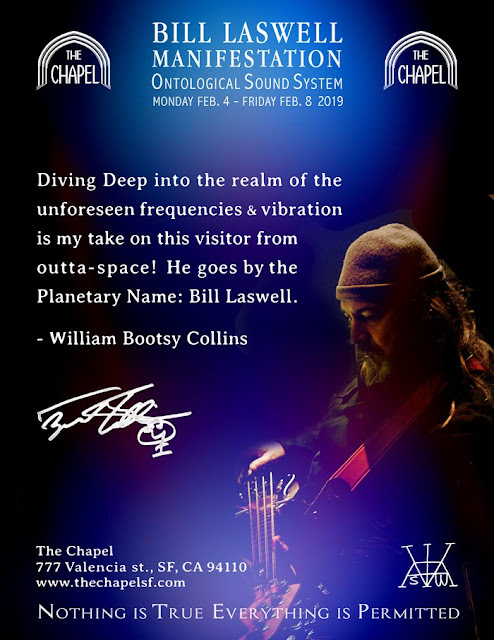 I'm very interested in this topic because the online TOTT course became one of the most significant teaching experiences of my life; extremely intense at times, it felt life-changing. I regret not archiving the entire course exercises and discussion when given the opportunity. So it was with some excitement to read that Fly included the course in the intro definition of TOTT . I always assumed that someone at the MLA would archive it, and still hope it exists elsewhere other than in a few carbon-based memory banks and the akashic records. Effects I can remember the course having on me include a quantum leap in understanding and comprehending Finnegans Wake that went a lot further than the information taken in by the group discussion. I read it in its entirety for only the second time after the course finished and thoroughly enjoyed it, taking copious notes along the way. The first read through felt like running a marathon through a thick swamp. I would get mildly high from reading the book like you would meditating, but it seemed like I understood about 3% or less of it. The TOTT also course introduced me to The Cantos by Ezra Pound. It took a minute for that spark to catch, like almost the entire 8 week course, but it did flame and I also read The Cantos all the way through and looked at some of the secondary literature after the course. I remember subjecting some of my mixing clients to recitations of inspiring passages. RAW expanded and put this into practice by suggesting listening to short phrases from any source, he used the example of CNN, and hearing them as fossil poems rather than in their ordinary context. Short phrases, even with only a couple of words, that can poetically imply much more. I don't recall any of his examples, but to take what normally passes as mundane and hear it as poetry seems enlightened. The first one I submitted was from the Rolling Stones: "Jumping Jack Flash is a gas, gas, gas," which reminds me of sexual alchemy. It was in this course that a sequence of events arose which led to my verification that baraka can get transmitted through the internet. In Cosmic Trigger, this gets called a contact experience. I posted a blog about it. One thing I look for: are there actual real world changes being made as a product or byproduct of engagement with The Tale of the Tribe? Is it doing anything? The answer is absolutely yes! and I can give a direct example I just discovered a few days ago as this post gestated in my brain. The Tale of the Tribe course occurred in the autumn of 2005 shortly after Hurricane Katrina. In one very intriguing post RAW initiated with a headline that began: "Housing ...," he suggested they use Bucky Fullers mobile, portable housing structures to provide temporary housing for people displaced by the hurricane. At the time I thought this a brilliant notion, but also rather cynically expecting that it probably wouldn't happen. A couple of days ago Raw Illumination had a post linking to Alec Nevala-Lee's announcement about writing a biography on Buckminster Fuller. It mentions that emergency shelters influenced by Fuller's designs were indeed used in the aftermath of Katrina. FOTTOTT compares favorably with Cosmic Trigger. It pulls a few triggers of its own. Very few people can attest to the extraordinary nature of Wilson's TOTT course, by the end of it there were only about a dozen or less active participants and it seems that at least 40 people had initially signed up. Fly was one of the few that saw the whole thing through and the one who has most explicitly launched the Wilson inspired Tales trajectory forward starting with multiple collage-like posts in the MLA Forum, that. much like this book, in the spirit of Ezra Pound, James Joyce and others who have worked with this concept, examined and re-imagined The Tale of the Tribe. On p.38 we see the instruction: "That's the aim of the game folks. Build your own tribe." This book introduced me to Slavoj Zizek for the first time. Zizek opens the door to French postmodern philosophy and psychology, especially the work of Jaques Lacan, also briefly discussed herein. Besides translating Jaques Derrida, perhaps the most prominent of the lot, Zizek has also ably contributed to the secondary literature of Gilles Deleuze and Felix Guattari. Guttari was also a student and therapeutic client of Lacan. In the comments from a couple of the later weeks of the Email to the Universe book discussion over at Rawillumination.net, I point to at least 4 or 5 instances of RAW obviously alluding to ideas from Deleuze and Guattari. RAW knew about these dudes, I strongly suspect. Deleuze in particular seems quantumly entangled with many other card-carrying members of the tribe. His interpretation of Nietzsche published in the early 60's is said to have revived interest in the philosopher eventually making him a sweetheart of the counter-culture. He writes about Orson Welles in his books on the cinema. Delueze also finds much inspiration in Burroughs, using and expanding his ideas as much as Wilson. A good introduction to the world view of Deleuze & Guatarri is through their concept of the rhizome. The nonhierarchical, decentralized process of growth of a rhizome appears isomorphic with the development and proliferation of the Tale of the Tribe. Their essay on the rhizome, initially published separately, later became incorporated as the introduction to A Thousand Plateaus. A primary characteristic of some of the more integral members of the Tribe involves their use of multiple meaning and multiple levels of meaning in the same word, phrase or sentence. They can seem very punny guys. James Joyce, who gets more air time in FOTTOTT than anyone else apart from Wilson, leads in this area with Aleister Crowley not far behind. Most or all of Wilson's fictional writings appear rife with multiplicity of meaning. This characteristic receives further elucidation in a future post. Deleuze & Guattari also communicate multiple meanings in simple and elaborate ways. For instance, the Rhizome piece starts with an illustration of an avant garde fragment of musical notation. The header on this notation reads "XIV piano piece for David Tudor 4." Deleuze & Guattari comprise two doors (Tudor) into multiple, philosophical, postmodern concepts and scenarios. Multi-level writers tend to be qabalistically fluent. 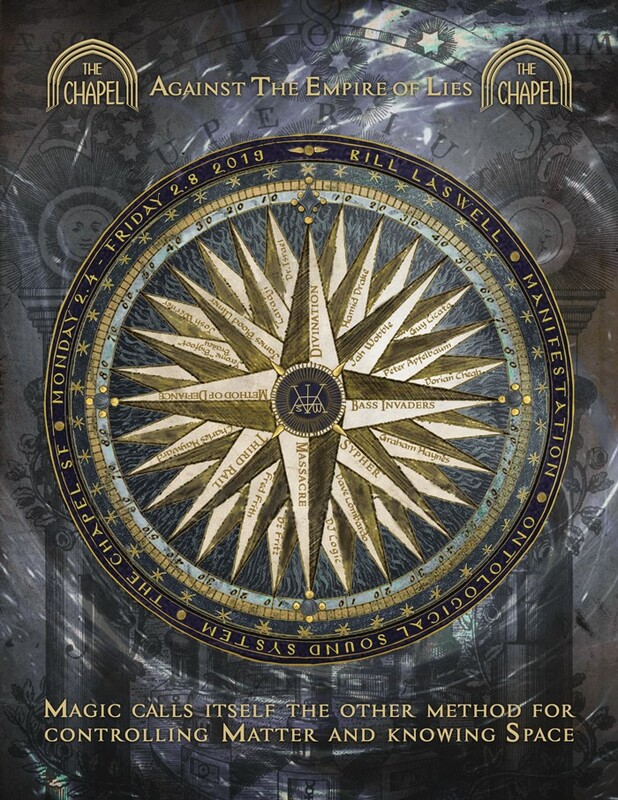 This appears true with D & G. In the example given, XIV, 14 = the key number for the path of Daleth which connects Chokmah and Binah and gets associated with Venus. 4 = the numerical value of the letter Daleth and Daleth in English = door. "It’s a question of 'doubling’ the play of forces, of a self-relation that allows us to resist, to elude power, to turn life or death against power. This, according to Foucault, is something the Greeks invented…it’s a matter of optional rules that make existence a work of art, rules at once ethical and aesthetic that constitute ways of existing or styles of life . It’s what Nietzsche discovered as the will to power operating artistically, inventing ‘new possibilities of life." Thus relativity, in the hands of James Joyce, is translated from the realm of mathematics and operationalist volumes of philosophy into a living laboratory, a living zoo or circus where no single word can define meaning concretely, yet a string of them together can cast a powerful message to the reader. My question becomes: what grows? If we indeed find ourselves in a living laboratory, and I agree we do, how do we describe what grows? The attempt to define this may benefit the process. We'll put this under the microscope, or the telescope, in the next installment here regarding The Tale of the Tribe.